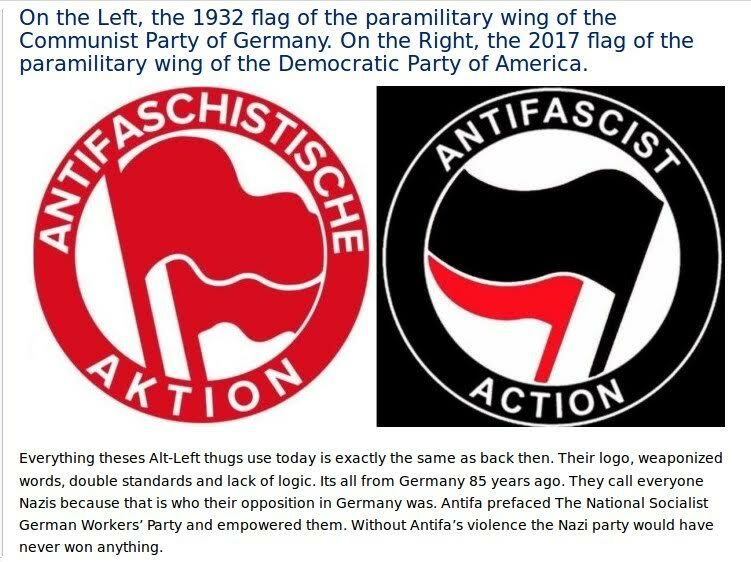 See the above graphic how the AntiFa flag of the Violent Left is modeled after the AntiFascishistische flag of the Communist Party during the early days of Nazi Germany. 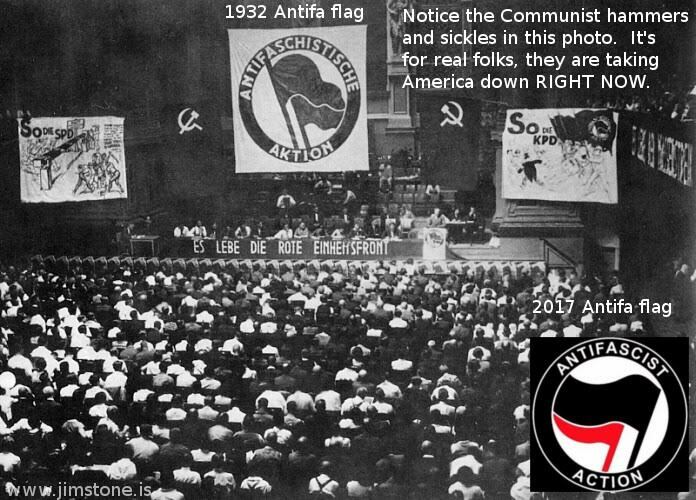 Now see the Communist hammer and sickle on either side of the German AntiFa flag below from 1932. 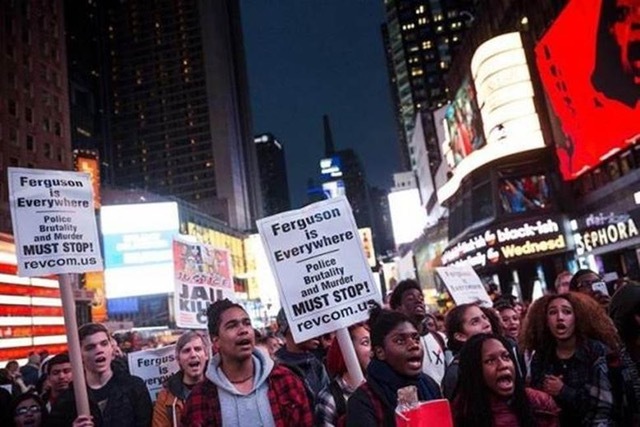 The placards below show the Communist website REVCOM.US on them. The following link indicates that REVCOM is the “The voice of the Revolutionary Communist Party, USA”. Look at who George Soros has staging the Purple Revolution!